We are very pleased to inform that Masterpiece Power of Love watch has been awarded The Perfection Of Fashion 2015 prize. This award is a true appreciation for the artistry of Maurice Lacroix watches which are not only true works of art but also true works of fashion. Perfection of Fashion Award is the most prestigious fashion prize in Poland awarded for 17 years by the Twój Styl (Your Style) magazine. For customers it is determinant of the quality of the brand, its popularity and how much it is desired by customers. Twój Styl belongs to the Bauer publishing house and it is the largest women's magazine in Poland. For 26 years it is the absolute leader in terms of sales and readership. For many women in Poland it is the bible of style and fashion. Perfection of Fashion Award goes only to the best brands in Poland, chosen by an independent jury which consists of the greatest fashion authorities in Poland. This is the best and most significant fashion award in Poland. Masterpiece Power of Love watch has been awarded in the category of luxury watches. The award is a true appreciation for the craftsmanship of Maurice Lacroix and shows that brand meets the demand of the most discerning clientele. 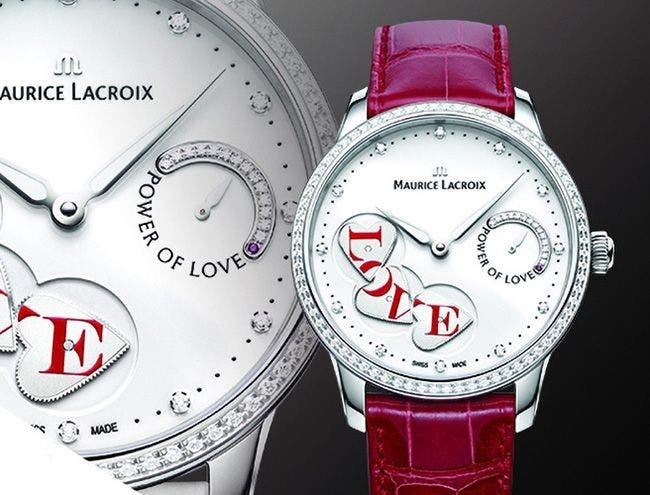 Once again, Maurice Lacroix has produced a unique watch, the Masterpiece Power of Love featuring a new complication which reinforces its premium offering within women’s collection. In the Masterpiece Power of Love Maurice Lacroix recognizes the significance of love in our life and show us a beautiful, fashion site of real luxury. This award is a true appreciation for the artistry of Maurice Lacroix watch which is true work of art. This award also proves how strong the Maurice Lacroix brand is in our market. We are very proud and happy about that.